Being a Health and exercise practitioner for nearly thirty years, I have witnessed so many clients with poor diet and lifestyle habits. One of the main reasons behind these habits, is a lack of education around good nutrition. And also, the belief that exercising alone can create weight-loss; rather than seeing it as a combination of proper nutrition, exercise, and a balanced lifestyle. All of these reasons led me to become a certified Holistic Coach and I now offer personalised and effective Holistic and Nutrition Coaching on the Northern Beaches. With Holistic Coaching, I can help you create life-changing results by focusing on manageable, healthy lifestyle changes. While Nutrition Coaching focusses on improving your general health and wellbeing, including weight-loss, nutrition and supporting chronic health conditions. Nutrition and Holistic Coaching are suitable for everyone from athletes, to those with specific health concerns. I will work face-to-face with you, assessing your health and lifestyle needs and developing a customised program that not only addresses your needs, but fits into your life. I use a truly holistic approach to my coaching that allows me to tailor each program to your specific needs, rather than applying a one-size-fits-all approach. My unique offering as your coach is to empower you to effectively manage your life, rather than your life managing you. You will feel in control and educated about making the right choices for you, your health and wellbeing. If you’re ready to live a healthier and more energetic life, then get in touch today on 0417 218 755, or click here, and let’s get started. If you’re ready to work with someone who is truly passionate about health and nutrition, then I’m the guy for you! I have thirty years of experience in nutrition and lifestyle coaching, and personal training; and I can coach and guide you on your journey to improved health. I have helped countless clients to lose weight, improve their diet, enhance their energy levels, and recover from chronic pain and health conditions. In short, I have given them back their lives. I am different to most other coaches because I assess the key factors that influence your health and performance, as well as your ability to make positive changes to these factors. Once I have this information, I put together a step-by-step, customised approach to help you optimise your nutrition and lifestyle. This in turn will improve your health, wellbeing and performance in all the areas of your life. With Holistic Coaching, we will work together to create the specific lifestyle changes you need to make to live a healthier and happier life. I will develop a clear and specific lifestyle strategy that addresses food, hydration, sleep, proper breathing techniques, exercise and relaxation. I also assess potential factors underlying your health and performance. Through your journey I will coach you through a comprehensive plan of behavioural and thought changes aimed at enhancing your health, wellbeing and happiness. The program factors in realistic targets for your improved health and physical wellbeing. I will help you better understand the principles behind correct eating, hydration, exercise, sleep, thinking, breathing, and stress management for your unique needs. 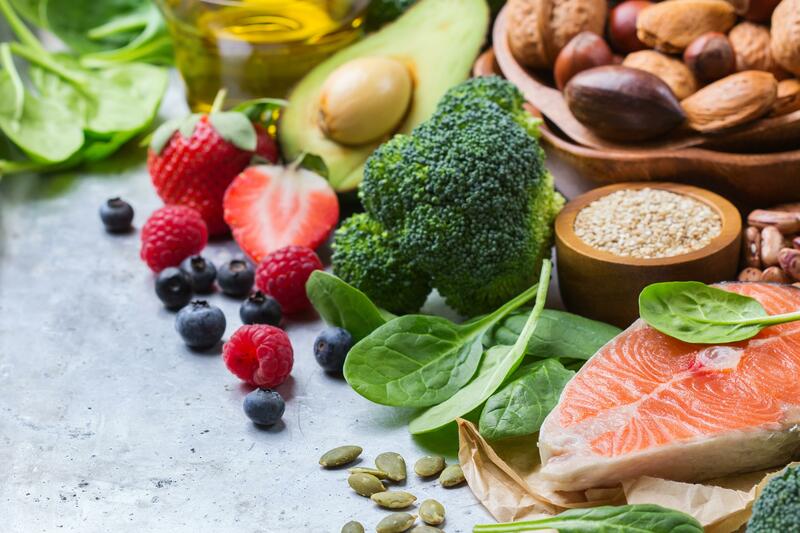 With Nutrition Coaching, we will work together to make positive changes to your diet and nutrition so you can achieve your health, wellness and weight-loss goals. I will offer you an understanding of what kinds of foods you may benefit from most; as well as providing an outline on what your less-healthy habits are, and how to change them. I also provide a detailed framework to help you make and sustain these changes. Throughout the process I will educate you on making better food choices so you have a better understanding of what your body really needs, rather than what diet you need to go on. I will also educate you on the importance of food quality and where to source good food from. I have spent years researching the best food suppliers on the Northern Beaches and North Shore, and I will share my healthy food secrets with you. While also teaching you about the importance of food planning for the week ahead, so you are better prepared to stick to your new, healthy way of eating. The main goal for me is to make these changes to your diet and lifestyle as easy as possible, so you can continue to support your health and wellbeing after our coaching together. What happens in a typical session. I will give you tools and resources to make the necessary changes in your life and to stick to these changes following our coaching together. You will receive ongoing, one-on-one support from me, until you have reached your health goals. I am here for your every step of the way, we are in this together. After a session with me, I am confident you will be feeling motivated, energised, educated on the issues you are struggling with and ready to make the changes you need to make. If you’re ready to take control of your life, and make real and lasting changes to your health and wellbeing, then I’d love to work with you. Contact me today on 0417 218 755, or click here, and let’s being the journey to your improved health.